As a building owner, you want to save money, secure your building’s long-term value and attract the right tenants. In order to enhance and optimize building value, more and more owners are investing in smart technologies such as wireless infrastructure. Wireless control systems provide a number of benefits, including lower costs, enhanced safety, and greater flexibility. In this article, we share a few ways wireless systems can benefit your building. Wireless infrastructure can reduce energy, labour and overall operating costs. Wireless systems are, in general, are also proving to be more reliable and have better performance than wired systems. In the event that something does go wrong, labor costs are lower because a repair team doesn’t have to access wiring within the walls. This means you’ll waste less time and money on repairs. Not only that, wireless infrastructure makes your building ready for the future. When your building has the right technology in place, you have the ability to adapt to any of your tenant’s future needs. Wireless systems can also shrink energy costs by using smart sensors. Occupancy and temperature sensors will inform your system when a room is empty or when a room is not at the desired temperature. This enables the system to fine-tune heating and cooling and regulate unneeded energy usage, such as lighting, when a room is empty. This results in better comfort for building occupants and lower energy costs. Wireless infrastructure can also improve safety by increasing your building security. If, for example, you need to move security cameras around between different rooms, you can do so with a wireless system. Wireless infrastructure also offers the distinct benefit of providing information to police and firefighters in the event of an emergency. Emergency responders can use a building’s wireless system to communicate with building occupants and to gain information about the building. This can help both emergency responders and building occupants to better handle emergency situations. One of the biggest benefits of a wireless system is the immense flexibility it offers. Because the system is not wired into the walls, it can easily be moved around and changed. For example, if you decide to redesign an office, you have greater flexibility because you don’t have to worry about designing around computer ports or phone lines. Generally, you can put computers, phones, copy machines, security cameras, and other technology anywhere you’d like. This can enhance your building’s current productivity and ensure that your building will be able to accommodate any future needs. 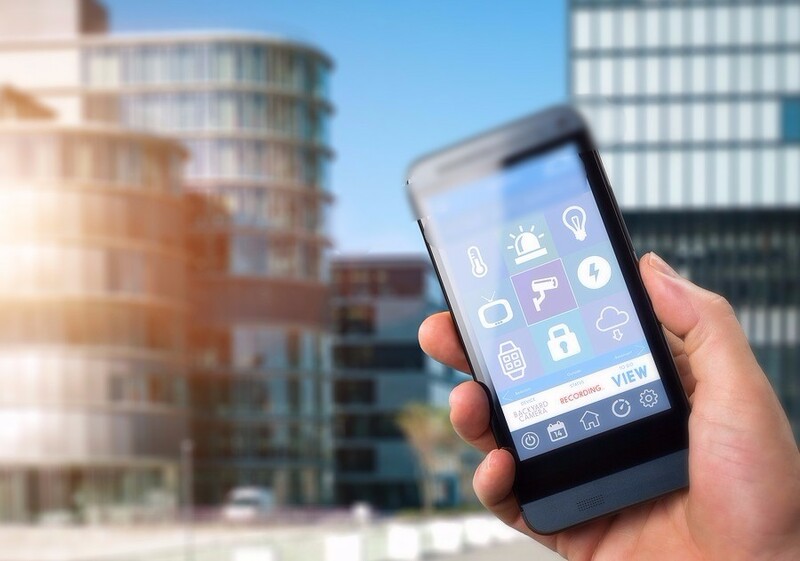 If you’re looking to enhance your building and add to its long-term value, we encourage you to contact us today to learn more about how wireless controls can benefit your building.